Friday morning we drove two hours to Outjo, a small town with a charming little café that cooks up some excellent German pastries. After lunch, we continued another couple of hours to the cheetah park at Camp Otjitotongwe. The family that owns the park keeps tame cheetahs in a fenced-in area adjacent to the house, and we were able to pose for pictures with the purring cheetahs, pet them, and even watch the family's dog bravely challenge one of the cheetahs to a chase and a wrestling match. 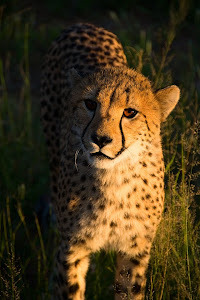 Afterward, we hopped in an open-top jeep and drove on a bumpy dirt road to the expansive grasslands that serve as the habitat for untamed cheetahs. These cats were certainly not the cuddly creatures we had been hugging at the house. They followed us in the jeep, slinking through the grass and eyeing us the whole time. 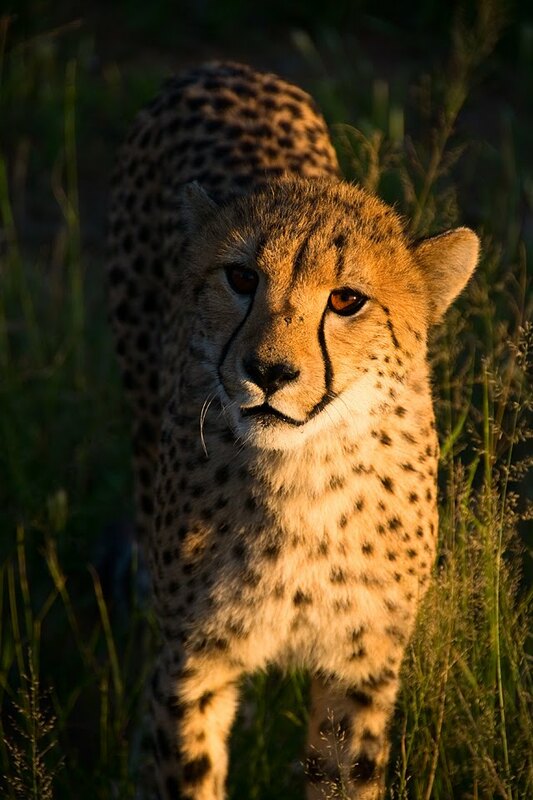 As more cheetahs emerged from the bush, the driver prepared to throw hunks of raw meat to the cats. The first slab of meat flew into the air, and three cheetahs jumped straight up at it, meeting in mid-air and viciously tearing the meat to shreds with lightning-quick raw power. 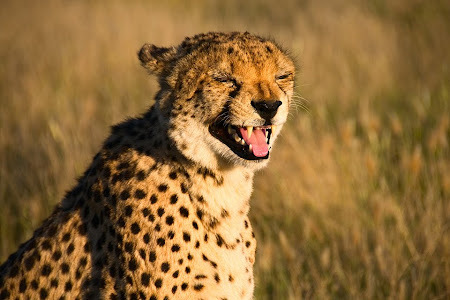 The cheetahs made a variety of strange high-pitched chirping vocalizations. We left Camp Otjitotongwe and its cheetahs yesterday morning and drove an hour and a half to visit a village of the unique Himba tribe. Himba men do most of the work, and the women spend all day beautifying themselves. 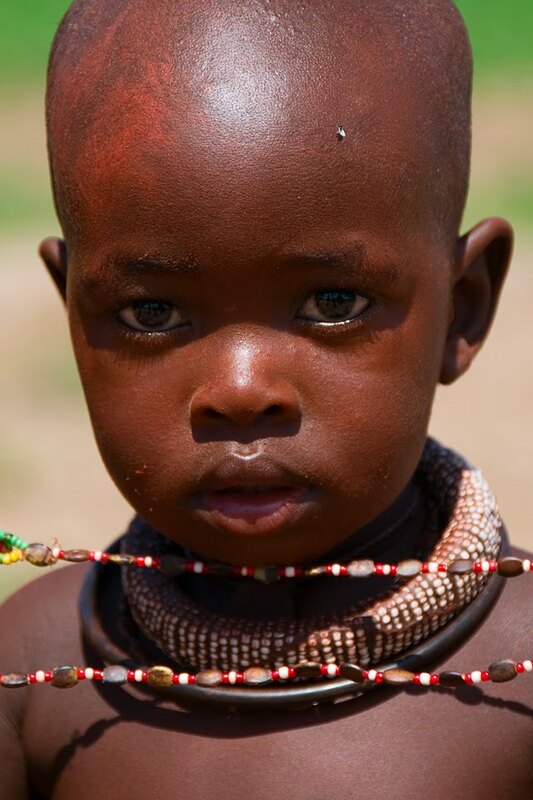 The women never shower, but they apply a red clay mixture to their bodies and hair. 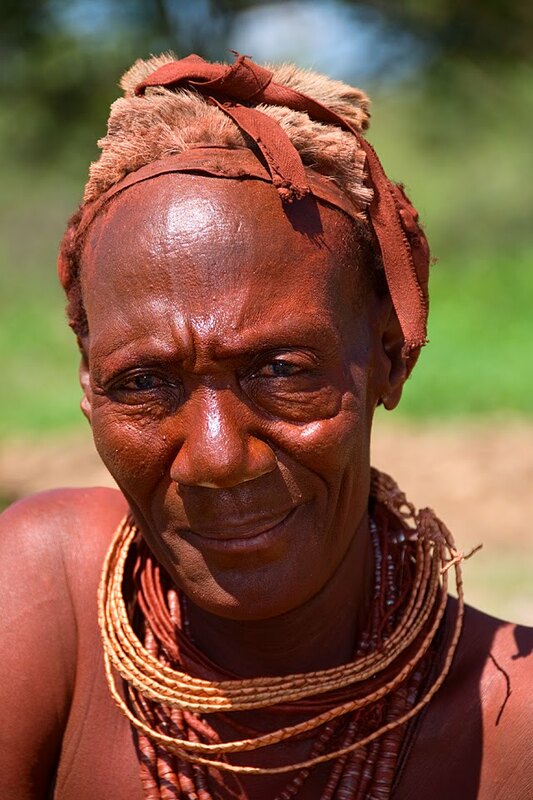 After we walked around the village and met some of the women, they set up a craft market on blankets in a clearing between huts – the only source of income for the Himba comes from tourism. 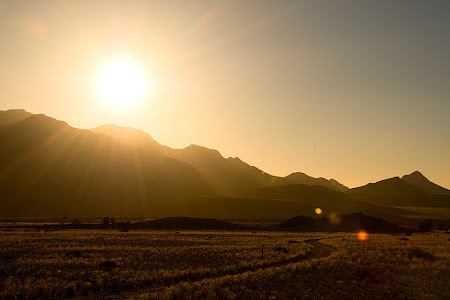 We stopped in nearby Kamanjab for lunch before driving four hours to the desolate and rocky massif know as the Brandberg, Namibia's highest mountain, in the area known as Damaraland in the northwestern Namib Desert. 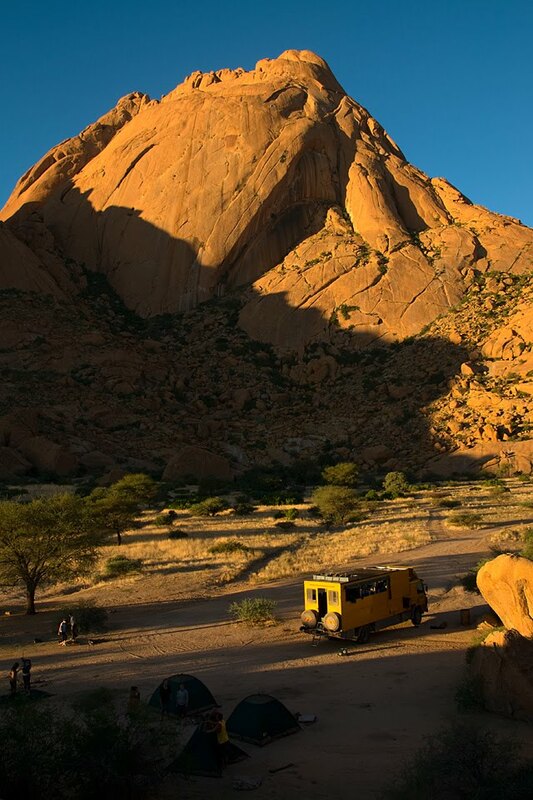 We set up bush camp in the midst of the picturesque landscape just as the tips of the granite koppies (hills) began to glow a fiery pink in the sunset – in fact, the name Brandberg means Fire Mountain in Afrikaans, Dutch, and German. While we waited on cook group to prepare our dinner of kudu steaks, Jess and I decided to climb one of the nearby koppies for a view of the sunset. It only took about ten minutes to race to the top, where we enjoyed a gorgeous view of the surrounding peaks silhouetted against a quickly darkening sky. As the last bits of orange faded at the horizon, we switched on our head lights and started the slippery descent back to the campsite. The journey down took much longer than the way up – about an hour – due to the scree (loose rocks) that covered the hillside. I had to use my tripod as a walking stick and step slowly one foot at a time to avoid slipping down the slope. We got back to the truck just in time for dinner, and we spent the evening roasting marshmallows in the fire and listening to Pink Floyd's Dark Side of the Moon as we lounged on the roof of the truck and gazed at the millions of dazzling stars arcing across the desert sky. An orange sunset fades into dusk, as seen from a koppie in the Brandberg massif, Damaraland, Namibia. 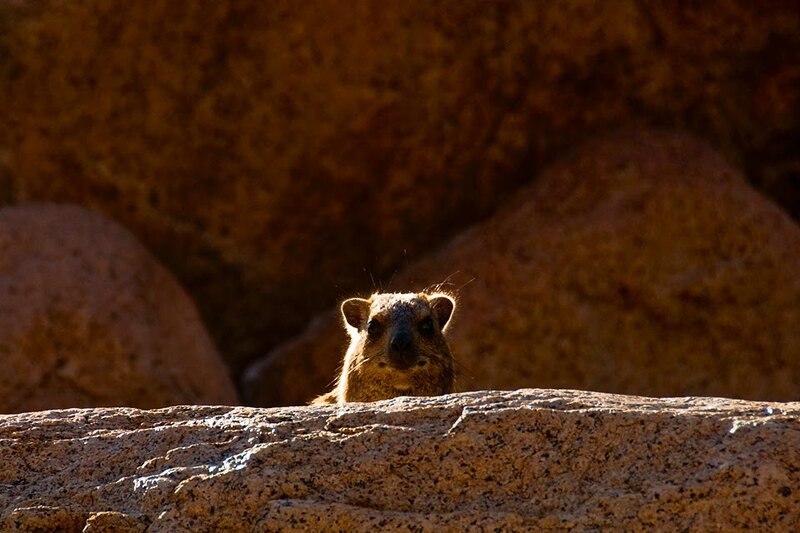 A dassie, or rock hyrax, peeks over a boulder in the Brandberg massif, Damaraland, Namibia. We started off very early this morning with a hike into the Brandberg. Our destination was the "White Lady" rock paintings, a collection of human and animal figures dating back about 2,000 years ago. 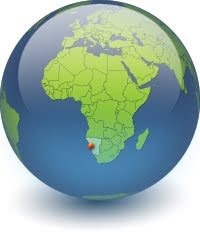 The paintings were likely produced by the San, or Bushmen, who have populated the area for thousands of years. 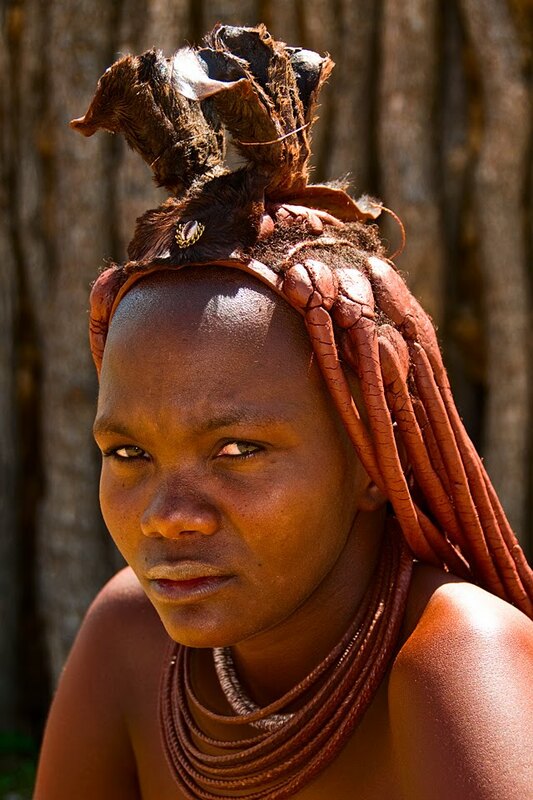 Our guide spoke the local language of Nama, a member of the Khoisan family of African click languages. 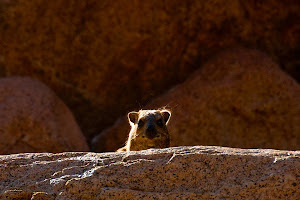 On the hike, we saw a few dassies (rock hyraxes), which resemble guinea pigs and are found throughout Africa. We returned from the hike about 9:00 and drove three hours toward Cape Cross on the Atlantic coast. The landscape and climate changed significantly in this short distance. The rocky hillsides and cliffs soon flattened out into a vast and empty plain punctuated only by a few hazy, dimensionless suggestions of mountains on the horizon. The temperature dropped drastically, and wind whipped at us from the open sides of the truck – we all pulled our sleeping bags out of our under-seat lockers and bundled up like we were sheltering from a blizzard. Cape Cross is famous for its massive colony of Cape fur seals, but these creatures are not as cute as they appear in photographs. The first thing that hit us as we climbed out of the truck was the foul, revolting smell that emanated from the thousands of blubbery animals. An endless carpet of seals covered the rocks all the way to the crashing waves, and more seals were swimming around in the sea. Many of the seals were engaged in vicious fights with one another, and the horrid honking sound that seals make was overwhelming. It was another two and a half hours to Spitzkoppe, a spectacular landscape of bald granite peaks. We were about to arrive at our bush camp for the night (the second one in a row), when we came to a standstill. A massive branch was just slightly too low for our tall truck to pass. There was no way around it, as there was boulder on the other side. The only solution was to cut down the branch, but it would have taken forever with just an axe. So we started chopping with the axe to weaken the limb. Then we attached a cable to the front of the truck and tied the other end to the overhanging branch. When our driver put the truck in reverse, the limb split from the trunk and came down. We were finally able to pass. After setting up our tents, some of us hiked up the nearby mountain. 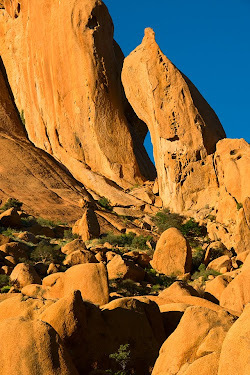 It was composed of a collection of massive bald granite boulders, which made the hike a bit easier than the slippery one at the campsite in the Brandberg. I watched the sunset from the top and then made my way back down, as I was on cook group tonight. 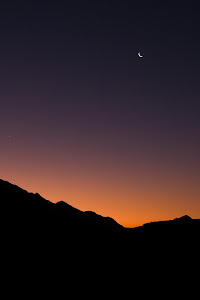 During a break while cooking, I went to grab my camera and photograph the deep red remnants of the sunset and the dark silhouettes of the mountains. I walked about five feet from my tent and fell flat on a massive outcropping of granite rising at a gentle slope from the ground. The rock was in shadow, and I thought it was just flat ground ahead of me. My camera flew out of my hands, and I scraped both hands and arms up to my elbows on the extremely rough granite surface. After cleaning my wounds, I examined my camera – apparently it's built like a tank because it suffered quite a severe fall and the only evidence was an open memory card door and a small dent on the metal edge of my filter. Needless to say, I moved my tent further away from that rock! 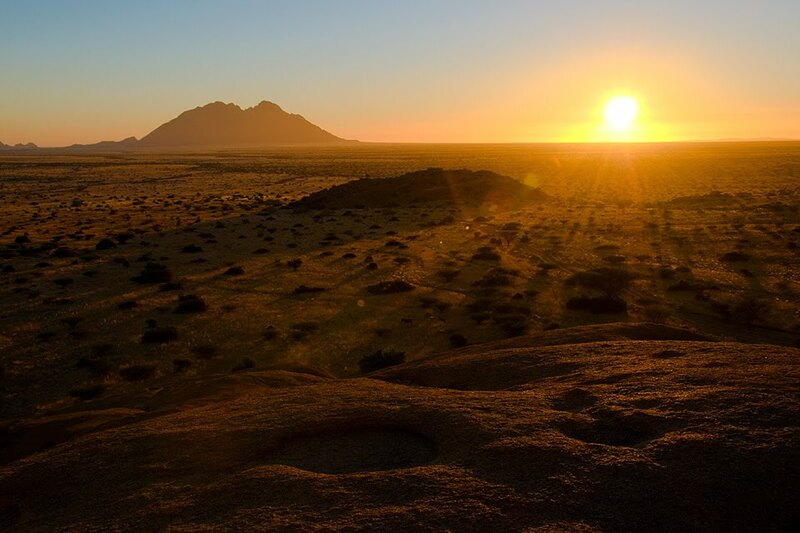 The sun sets over the Namib Desert, Spitzkoppe, Namibia.